Jocelyn Todd will be performing with students from across the country at this year's Canada Dance Festival. Call it the contemporary dance version of a mash-up track. On Tuesday night at the Canada Dance Festival, which runs June 8 to 16, students from five different dance schools across the country will perform Joe et Rodolphe, a composite production of two different works choreographed by Canadian artist Jean-Pierre Perrault. Jocelyn Todd, who’s just graduating from The School of Dance’s three-year contemporary program, is the only Ottawa native in the ambitious production. Ottawa Magazine’s Emma Paling caught up with her a few days before the big show. What does it mean to be part of this festival? It’s a great opportunity for any dancer who’s graduating to be a part of this festival. A lot of people come to see the new faces of the professional scene. It’s wonderful to be part of such a well-respected dance project. For me, it’s also a real honour to be working on this piece because the original production of Joe and all of Perrault’s projects are really important to many dancers. He was the first choreographer to have people dancing in regular street clothes and shoes onstage. How will your training in Ottawa influence your career as a dancer? The program here in Ottawa is different from other programs. Graduates from other programs tend to have a lot more people in their schools, so since we’re a smaller group we get a lot more attention. Here, we’re taught by one of Canada’s grandfathers of dance, Peter Boneham. He brings a lot to the training. Why is Joe et Rodolphe a special production? For us, it doesn’t register as much because we weren’t around when Perrault was first showing his works, but we know it has a great significance for older dancers and especially our teachers. He broke a lot of barriers in his time. The original piece was performed in full men’s uniforms with dress pants, boots, a hat, jacket, everything. When we’re onstage [in the current production] you can’t tell who’s male or female so it was completely different from any other contemporary dances being performed at the time. 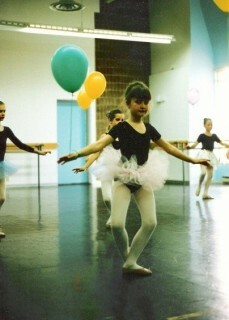 A young Jocelyn Todd in her ballet days. Have you ever danced in a show like this before? No. It’s new, but really interesting. It really puts you in a role. You kind of put yourself so far into the character that you lose the habits you would otherwise have as a dancer. 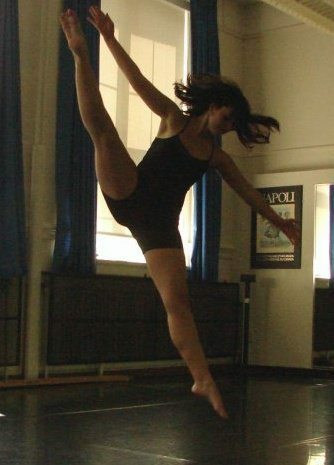 You create something totally different for yourself, which is very rewarding as a dancer. Have you ever performed in a production of this scale before? With The School of Dance we sometimes performed in the NAC theatre, but since it was for school it was a different audience, so this is a big deal for me. This will be totally different because it’s actually on a professional level. Yes and no. There are so many different rhythms in Joe that it’s hard to cover a mistake. But we’ve practised a lot. We’ve been working with director Ginelle Chagnon, who’s very particular and specific about the movements. Ginelle really takes the work to heart and really cares about it, so she makes sure her dancers know it really well – which we do! I am looking to eventually start a career as a choreographer. My current plans are to obviously keep up with dancing. You can’t just stop dancing. You have to keep taking classes or else you’ll lose your technique. I’m also planning on moving to London, England, in September to experience the dance scene there. It’ll be a whole new scene. I want to see what’s up over there and then eventually return to Ottawa. Jocelyn and her peers will be performing Joe et Rodolphe on Tuesday, June 12, at 8:30 p.m. $36-$43, students $18-$21. NAC Theatre, 53 Elgin St., www.canadadance.ca.